The Socially Awkward Muse: I've said it before. I'm terrible at this. I've said it before. I'm terrible at this. Yeah, so it's been almost a year since I posted. Not sure why I'm terrible at consistent blogging. Ten years ago I would've been posting daily. Of course, I was just outgrowing my angsty poetry phase around that time, so most of those posts would've been horribly embarrassing. Be thankful I'm a bad blogger. I don't have any concrete book news just yet, but I'm hoping that changes soon. My fingers are crossed. Agent Awesome (AKA Danielle Chiotti of Upstart Crow) has UNDERBED out to a number of editors, and I'm working on a new project, MAMMOTH. MAMMOTH is contemporary YA about a sixteen-year-old plus-size paleo-geek who scores a prestigious internship at an Ice Age dig site. It's a mashup of paleontology, popularity, and pin-up style. 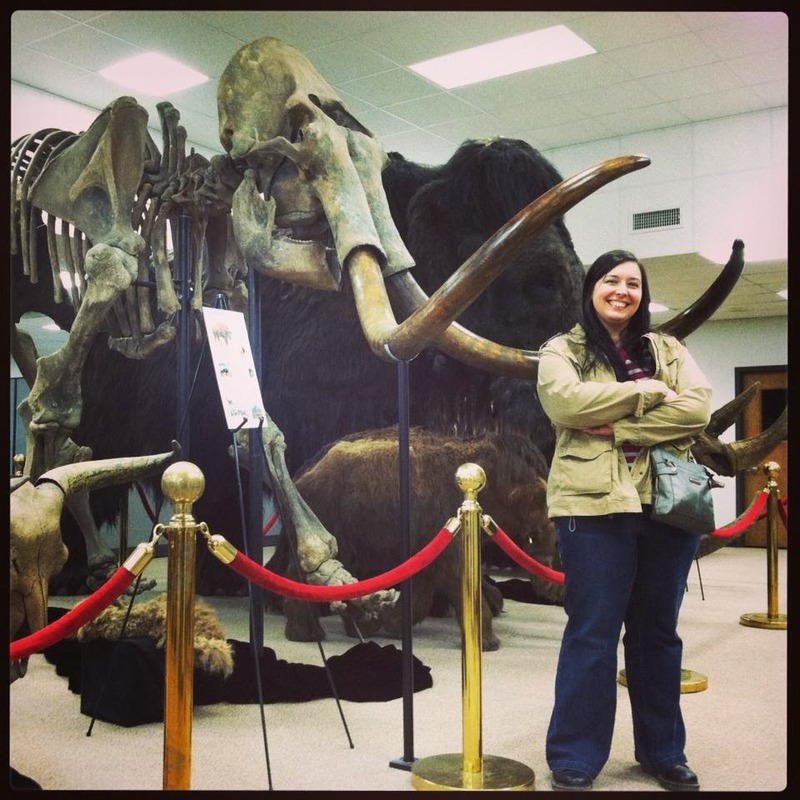 Earlier this month I had the incredible opportunity to fly out to Texas and visit the Waco Mammoth Site, the paleo lab at UT, and several other locations to research MAMMOTH (and generally geek out over dig sites and fossils, OMG). I'll be sharing more of my photos here soon. It was an amazing experience! That's all I've got for now. Hope y'all have been having a great holiday season, and here's to a totally mammoth 2014!